Black holes can be divided into three classes according to mass. On the low end are those with masses 10 times that of the sun. 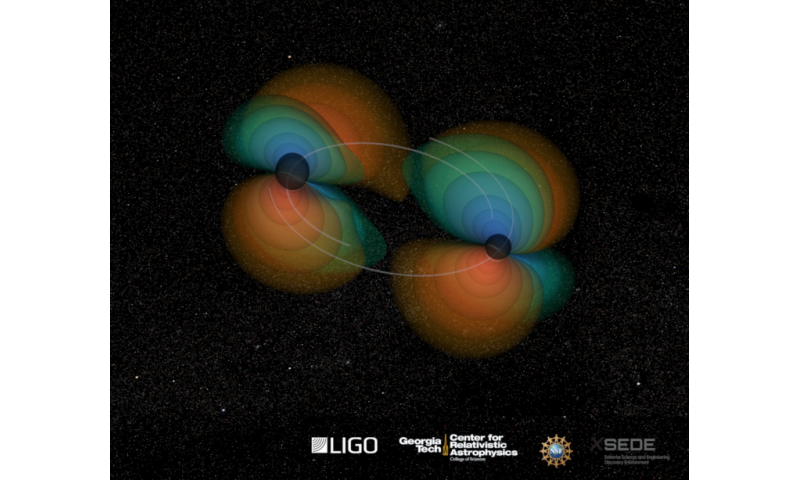 Examples are the two black holes whose merger generated the first gravitational wave to be detected, by the LIGO Scientific Collaboration (LSC), an international team including researchers in the School of Physics' Center for Relativistic Astrophysics (CRA). LIGO stands for Laser Interferometer Gravitational-Wave Observatory, a facility based in the U.S. The paper reports a "survey of the universe for midsize-black-hole collisions up to 5 billion light years ago," says Karan Jani, a former Georgia Tech Ph.D. physics student who participated in the study. That volume of space contains about 100 million galaxies the size of the Milky Way. Nowhere in that space did the study find a collision of midsize black holes. "Clearly they are much, much rarer than low-mass black holes, three collisions of which LIGO has detected so far," Jani says. Nevertheless, should a gravitational wave from two Goldilocks black holes colliding ever gets detected, Jani adds, "we have all the tools to dissect the signal."